Need some of your local knowledge for some Gorge Riders that are planning a visit soon; would greatly appreciate any recent road reports. We're spending three days riding out of Sumpter starting 23 June, and need to know if a couple of roads are open. Planning on riding north from Sumpter through Granite and hopping over Elkhorn Summit (7,400' +), and down past Anthony Lakes on FR 73. The Forest Service website report is a month old, and they seem to assume everyone is on four wheels. Lady at the motel wasn't sure, but thought Elkhorn was still closed. Anybody been over there lately? Same day we're planning on circling the Wallowas, and taking FR 39 from Joseph to Halfway, with perhaps a detour up Rattlesnake or down to Brownlee. Of course, all the usual sportbike shenanigans apply: Dooley Mountain, FR 52, FR 53, Galena, Shaniko, Fossil, Monument, etc. etc. We'll be pretty pooped after three days of twisties. I would like to know the same info. 52 from ukiah is open and 73 to Sumpter is. I just rode it Sunday. Not too bad of shape either. Rode Shaniko to antelope and Fossil today. Great ride! Was through Rattlesnake last month. The creek washed out part of the road at the bottom near Boggans. One way traffic control and pilot truck from the bottom to the creek crossing. Maybe 15 to 30 minute wait for the turnaround. The rest of the grade to the park at the top is fine. Don't know how far they've got since then, but it looked like a lot of work yet to go. From the creek at bottom right down to the oasis was torn up pretty well. You can often find out if FS-39 is open by checking the Wallowa-Whitman N.F. 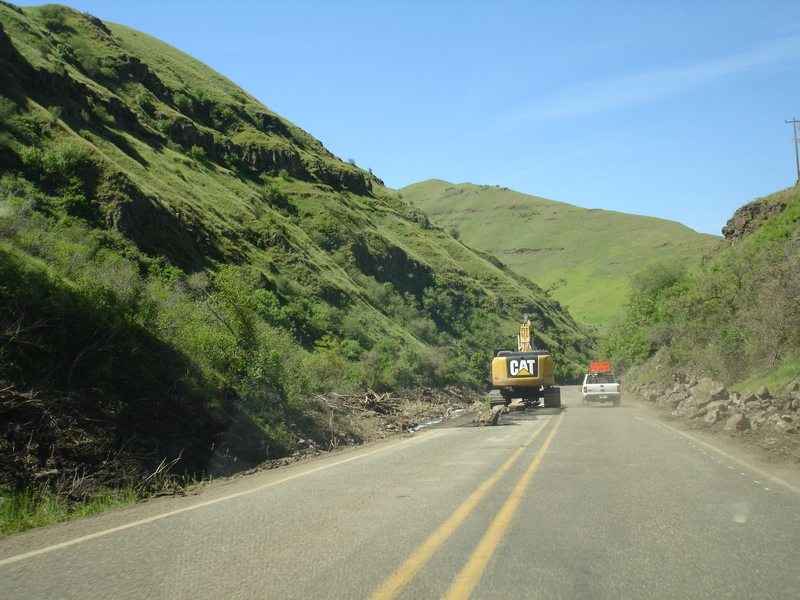 website: Wallowa-Whitman National Forest -Forest Road and Access Report. If the most recent update is a little old, you can call the closest ranger station/headquarters, and often times can get the most recent information. Thanks everyone, I appreciate the info. I called around, and the locals are saying that the weather has been unseasonably cold and wet in The Blues. The nice lady at the Forest Service wasn't willing to guess on an opening date; can't say I blame her... 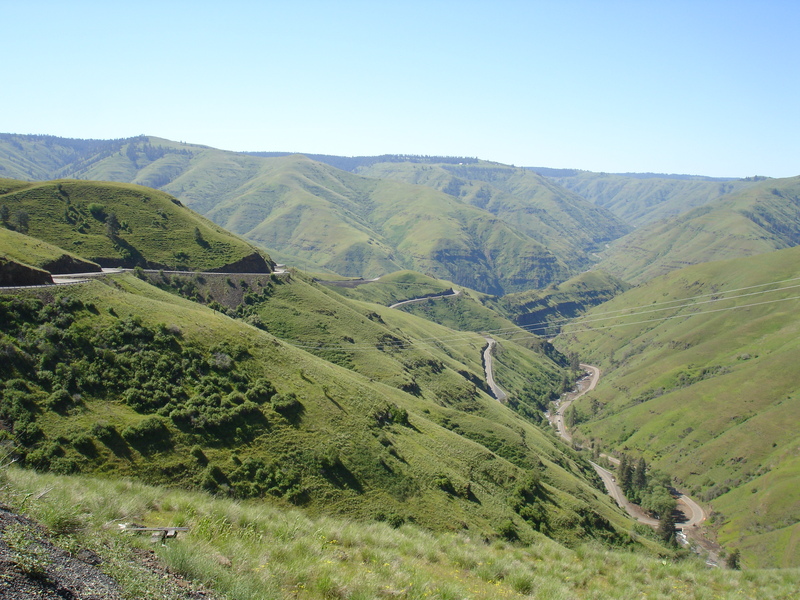 If FR 73 across Elkhorn Summit is still blocked by snow, we can divert over Chicken Creek Pass and down FR 51 on the upper Grande Ronde drainage to OR 244; rode it last year and liked it a lot. If any of you guys get word of FR 39 being opened, please post it up. I took a break where FR 73 meets 52 Sunday and saw several rigs come from 73 onto 52 but dont know if they came through it or maybe turned around and came back. A few days before I made the trip I called the rangers station in Ukiah and she was really helpful. Just got off the phone with the Ranger Station in Halfway; FR 39 is open around the Wallowas. Finally got through to someone who knew the ground game in the Baker City office. He said that "...there's seven miles of snow on FR 73 above Anthony Lakes". Looks like we'll be rockin' the Wallowas next weekend! Just got back from three days out east. Fan-freaking-tastic! FR 73 is open and clean over Elkhorn Summit. FR 39 around the Wallowas is wide open and clean, but watch for potholes hiding in the dappled shade. FR 52 from the junction with FR 51 to Ukiah was in the best shape I can recall. Thanks to you guys for providing info that made it happen. Now get on your bikes and get out there. Thanks for the heads up Quixote. Did you by any chance hit up FR-53 (Heppner to Ukiah)? If so, how was it? Yep, we rode Ukiah to Heppner this morning, and it was clean, fast and fun. Practically deserted, and no cows on the road. Hmmmmmm.... Camping or Hoteling.... Decisions, Decisions, Decisions. Less typing and more unpacking Bob. Don't make me do a Solo Run. Gotta get in shape to go east, dontcha know. Last load hauled out, now to find where to put it. I am resting today.